Prior to his election, Morrisey assisted in the successful multi-state challenge to the national health care law in the 11th Circuit Court of Appeals and counseled Members of Congress on strategies to repeal the law. He has also led successful efforts to thwart the federal government's efforts to impose price controls on health care products and seeks to limit the scope of federal regulations over our nation's health care system. In addition to his health care expertise, Morrisey has handled administrative law, election law, public policy, and several criminal defense matters during his 21 year legal career. Morrisey earned a bachelor of arts degree in history, with high honors, and political science, with honors, from Rutgers College in 1989 and a juris doctor from Rutgers Law School-Newark, in 1992. 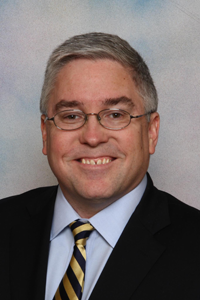 A product of a working-class family, Morrisey is licensed to practice law in West Virginia, Pennsylvania, New Jersey, and the District of Columbia.